Once your pregnancy has been confirmed, what you most want to know is your due date. Calculating the expected date of delivery is actually quite simple, provided that you know the first day of your last menstrual period. 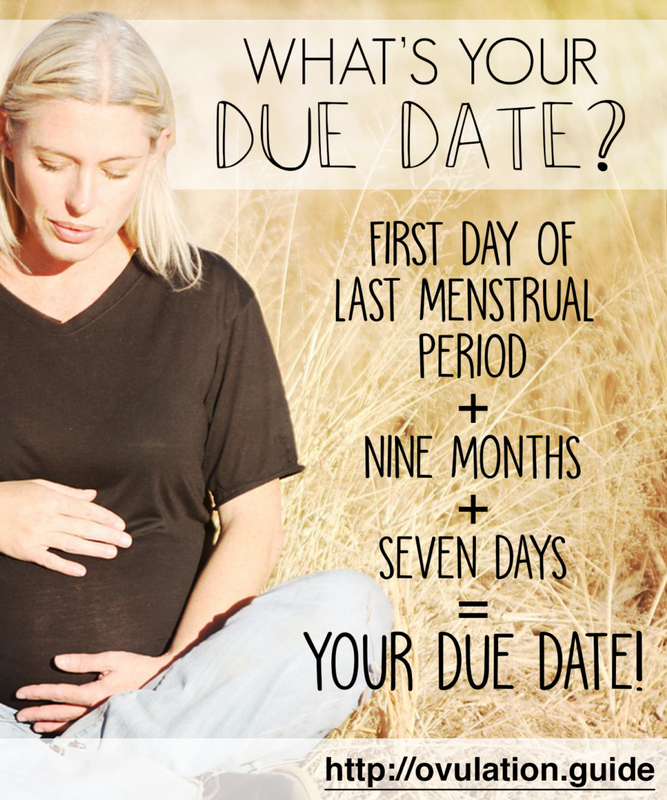 Just add nine months and seven days to the date, and you’ve got your pregnancy due date. In reality though, this does not always work out the way it is supposed to. Approximately 80% of mothers give birth on or about the due date. The remaining 20% either give birth about 2 weeks early or perhaps 2 weeks late, depending on circumstances at the time or during pregnancy. Factors which can alter your due date. There are certain conditions which can have an effect on your carefully calculated due date. There is often no clear reason why a mother might deliver early, but abnormally early birth could be as a result of the following health issues. Multiple babies, such as twins or more. A previously undiagnosed odd-shaped uterus which could crowd the foetus. Placentia previa, a serious condition. A thyroid problem which remains untreated. High blood pressure, diabetes or kidney disease. A serious infection resulting in high fever. Any of the above can affect your due date, but none of them is a foregone conclusion, except perhaps a multiple birth. A physical injury, such as a fall, will not necessarily induce early labour. There is also the rare factor that some women actually menstruate for a couple of months of falling pregnant. This can cause great consternation if you suddenly find out you are already 3 or 4 months pregnant when you visit the doctor. If the due date comes and goes, don’t go into a panic. It may only mean that you have miscalculated the date of your last period, and it is quite possible that you are not really overdue. Studies have shown that there is no known physical cause for being overdue, and no health risks for the mother, although there could be a problem if baby gets too big! What if my dates are correct? If you are concerned about being overdue, visit your health practitioner, especially if you are sure about your dates. The placenta begins to degenerate after more than two weeks post term, which affects its ability to nourish your baby. Your doctor will give you a thorough examination and more than likely suggest initiating labour to prevent any negative health impacts on your baby. Knowing your due date will help you plan ahead, and give you the answer to the most-asked question when you are pregnant: When is your baby due? It is something everyone wants to know – family, friends, and sometimes even strangers you meet. Go ahead and calculate, you have an 80% chance of being correct.